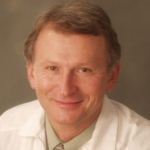 Dr. Calleman is back on Cosmic LOVE to follow up on his new book on 'The Quantum Evolution of Consciousness - THE GLOBAL MIND AND THE RISE OF CIVILIZATON'. How the global mind drives the evolution of both consciousness and civilization. In each culture, the origins of civilization can be tied to the arising of one concept in the human mind: straight lines. Straight and perpendicular lines are not found in nature, so where did this idea come from? What shift in consciousness occurred around the globe that triggered the start of rectangular building methods and linear organization as well as written language, pyramid construction, mathematics, and art? Offering a detailed answer to this question, Carl Calleman explores the quantum evolution of the human mind and its resonance with the global mind. He examines how our brains are not thinking machines but individual receivers of consciousness from the global mind, which creates holographic downloads to adjust human consciousness to new cosmological circumstances. 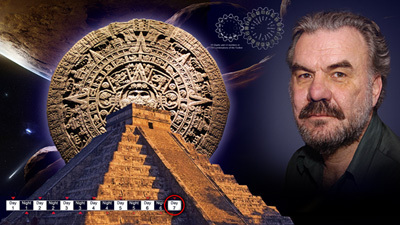 He explains how the Mayan Calendar provides a blueprint for these downloads throughout history and how the global mind, rather than the individual, has the power to make civilizations rise and fall. He shows how, at the beginning of the 6th Baktun in 3115 BCE, the global mind imparted the capacity to conceptualize spatial relations in terms of straight and perpendicular lines, initiating the building of pyramids and megaliths around the world and leading to the rise of modern civilization. He examines the symbolism within the Great Pyramid of Giza and the pyramid at Chichen Itza and looks at the differences between humans of the 6th Baktun and their ancestors of the 5th Baktun in ancient Egypt, Sumer, South America, and Asia. 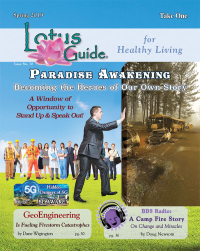 He reveals how the global mind connects us to the inner core of the Earth and discusses how the two halves of the brain parallel the civilizations of the East and West. 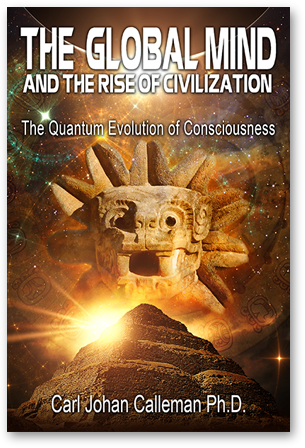 Outlining the historical, psychological, geophysical, and neurological roots of the modern human mind, Calleman shows how studying early civilizations offers a means of understanding the evolution of consciousness. The Purposeful Universe. He lives in Santa Fe, New Mexico.